I feel like Edinburgh has a whole lot of little gems, which I’m just finding, and one of those has to be No 11 Brunswick Street’s Brasserie. When I mentioned I was heading there after work, my colleagues had nothing but good things to say about it! 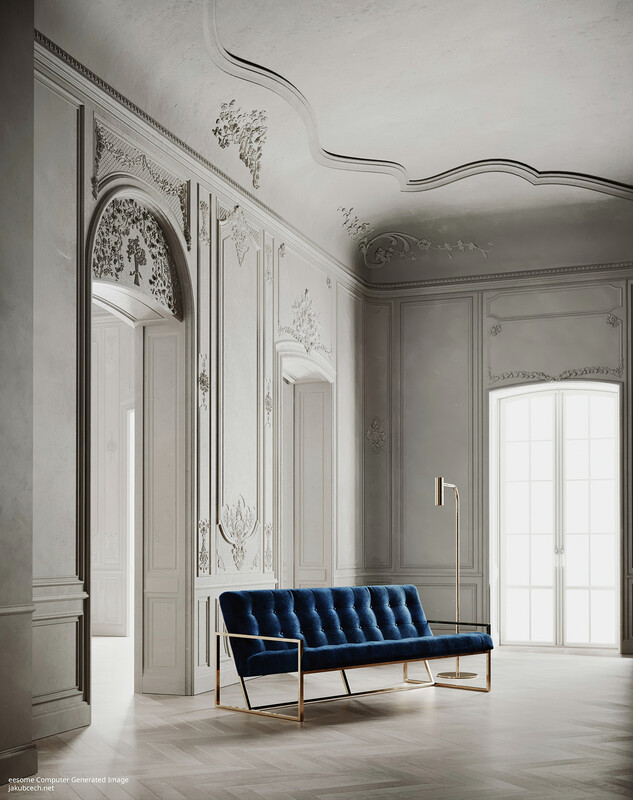 No 11 Brunswick St is a stunning, luxury hideout situated in one of Edinburgh’s iconic Georgian townhouses. 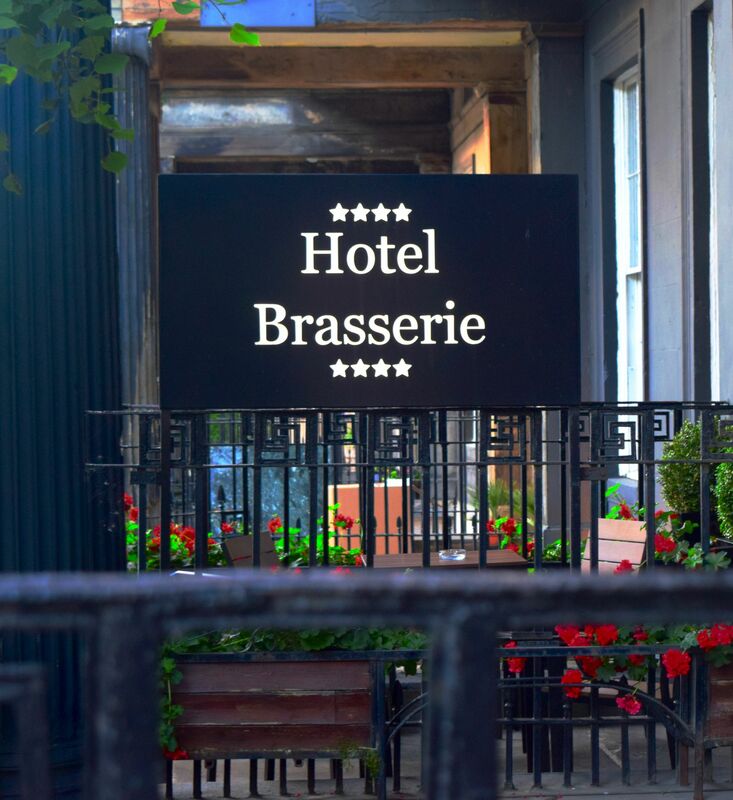 It’s a touch down from the Edinburgh Playhouse, so if you’re after a spot for supper pre-theatre, you’ve got to check out the Brasserie. The restaurant itself is in the front of the property, it has views out onto the street, and it’s a gorgeously intimate affair. Painted in deep charcoal grey, it’s the perfect canvas for the chandeliers and mirrors which glitter as the night gets darker, and it has to be one of the cosiest dining rooms in the city! I went on a Friday evening, straight from work, and the welcome couldn’t have been warmer. 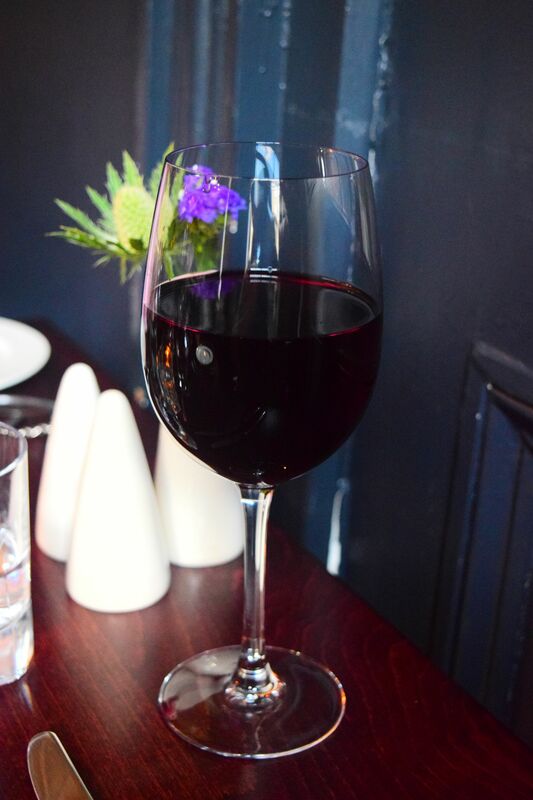 We were shown to a table in the corner, right next to the window, and settled on two glasses of the House Red and got down to choosing what we wanted for supper. The wine was an absolute delight – rich and fruity – it was the perfect accompaniment for what was to come! 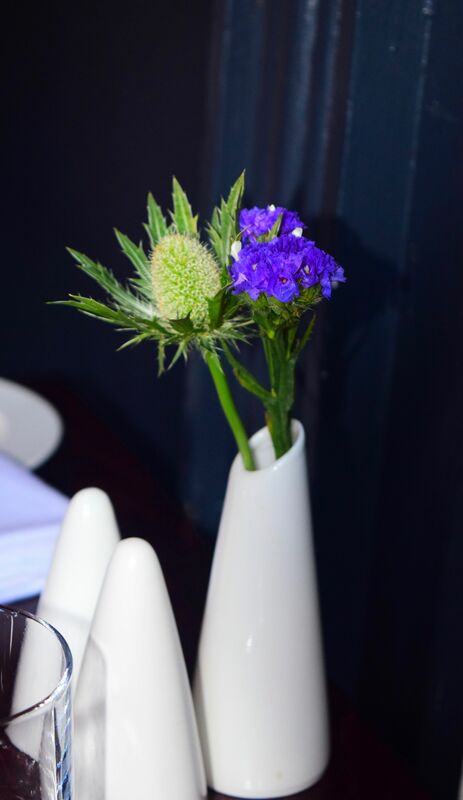 The menu is well sized with enough variations for everyone – the first appetiser we opted for were the Chilli and Coriander Fishcake Bites with tartare sauce (£7.00). 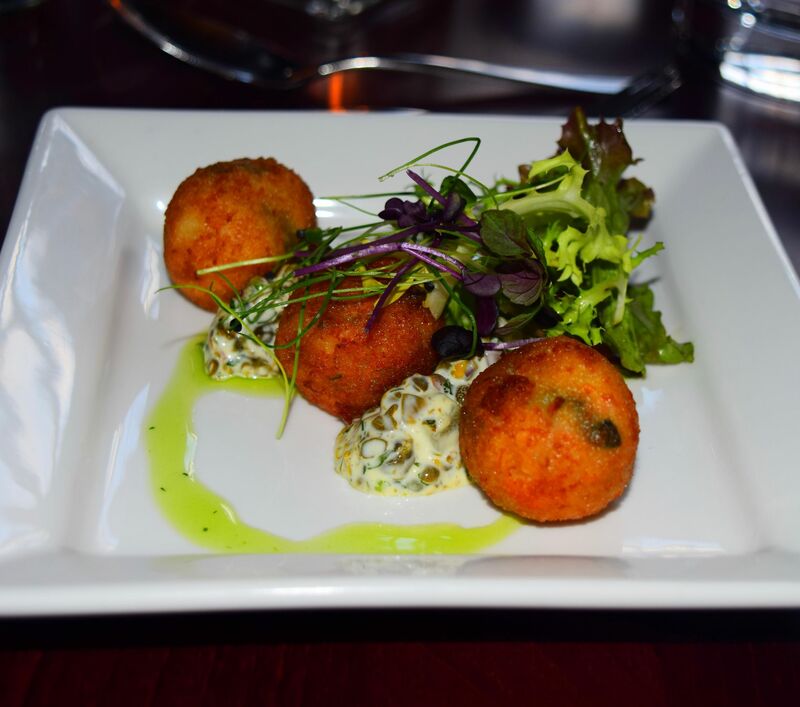 A trio of crisp spheres arrived, coupled with a homemade tartare sauce. The bites were hot and crisp on the outside, and wonderfully fluffy within. Hunks of cod and salmon studded the bites, and the tartare sauce was wonderful – filled with capers and dill, it was a delicious update on a classic. I opted for the Grilled Queen Scallops with Bernaise sauce (£7.00) which were just heavenly. 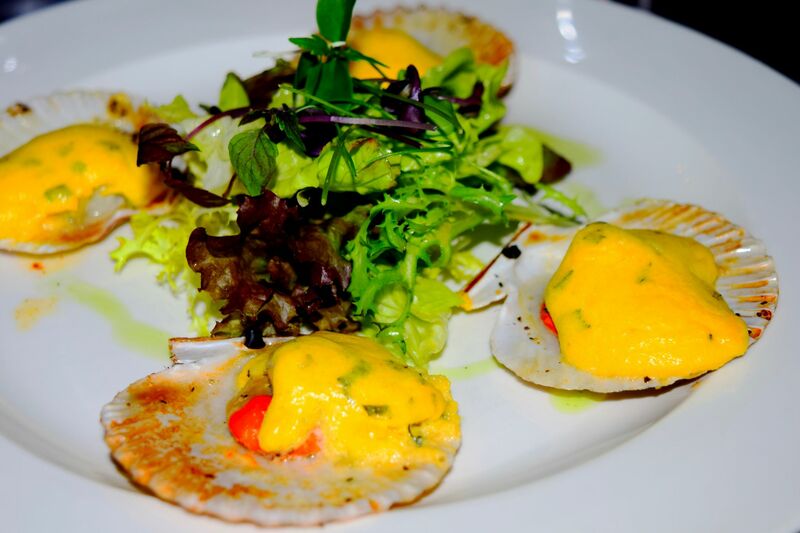 The scallops, served on the shell, were soft and sweet, whilst the Bernaise sauce had just the right amount of vinegary bite. 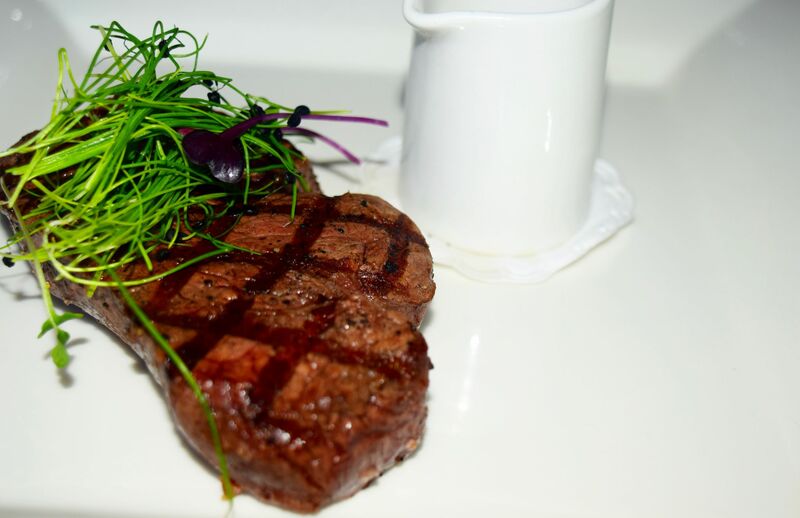 When it came to mains, we both opted for the Fillet Steak (£28.00) with Red Wine Jus (£2.75). As you can probably tell, it was a wise choice. The Brasserie at 11 Brunswick Street really aim to serve as much local produce as possible, and the beef was just delightful. 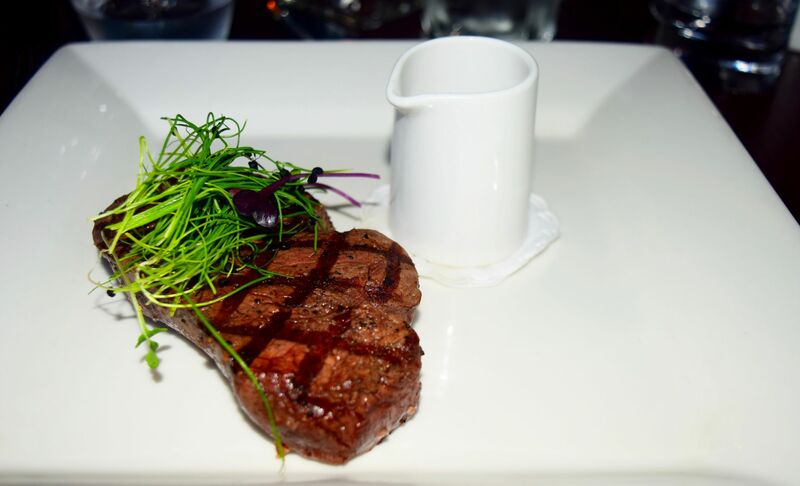 Rich in flavour, yet incredibly juicy and tender, we both agreed that it’s one of the best we’ve had in a long time. 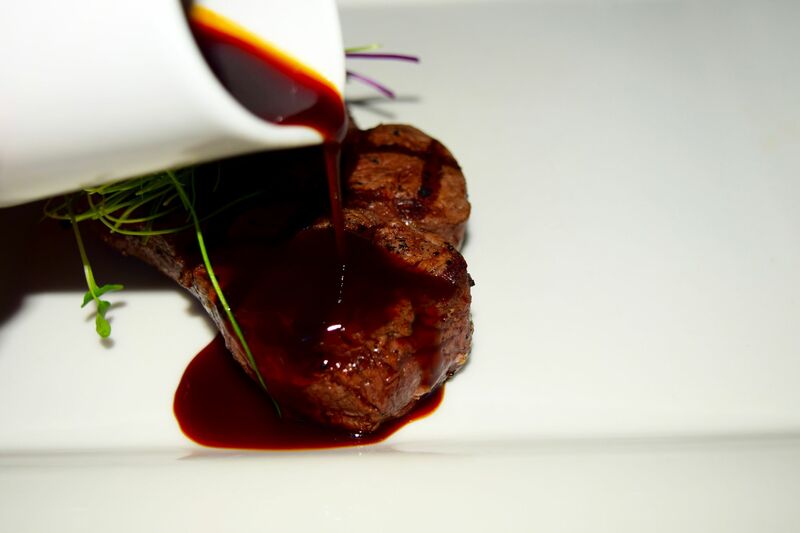 The Red Wine Jus was the perfect accompaniment – I don’t usually add sauces to steak, but this was a delight. 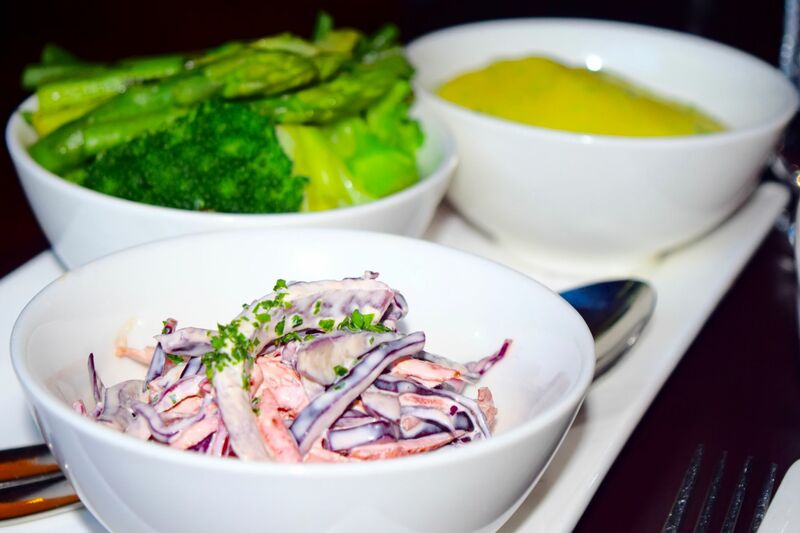 To go alongside the steaks, we shared three of the side dishes – it was a touch call, but we went for the Red Cabbage and Chilli Coleslaw (£3.00), Garlic Buttered Greens (£3.00) and Mascarpone and Parmesan Mash (£3.00). Honestly, the whole thing was perfection. The Coleslaw was light, and crunchy – just as it should be. 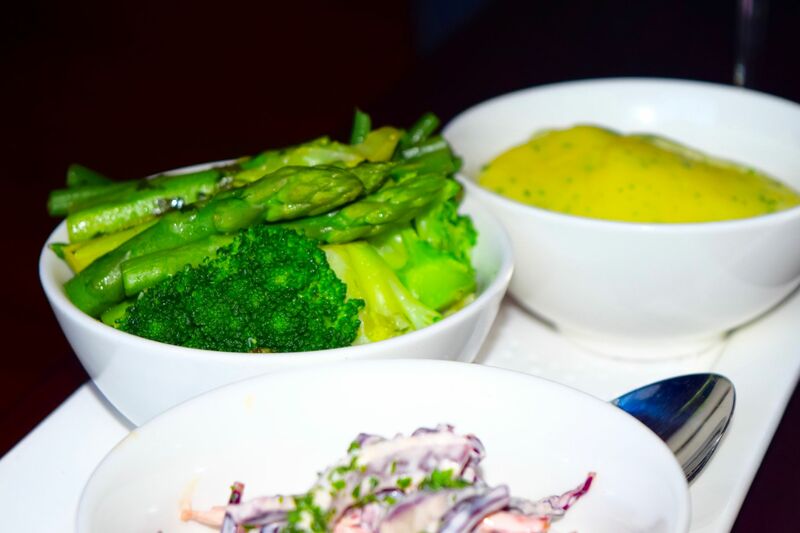 The Garlic Buttered Greens were delicious – the garlic was light enough to let the freshness of the vegetables shine through, and the Mash was heavenly. 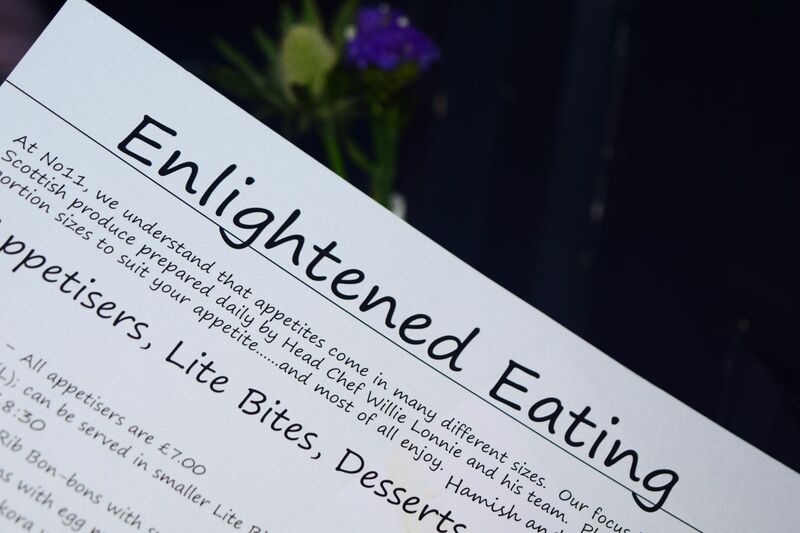 We should have guessed, thanks to how light the Fish Cake appetiser was, but the potatoes were wonderfully creamy and flavourful. Exactly what you want to have alongside such a heavenly cut of meat! 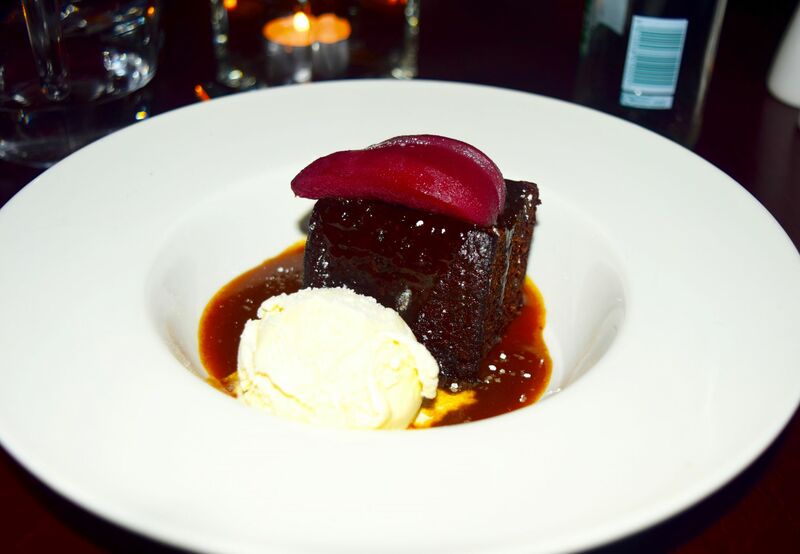 Then, after giving ourselves a good while to ponder the dessert menu (and to digest the rather delicious meal) we both opted for the Sticky Toffee Pudding with vanilla ice cream (£5.50). I had wavered over the idea of Creme Brûlée, which, of course, sounded divine. But by this point it was pitch black outside, and the dining room was positively sparkling, and a cosy pudding sounded pretty much heavenly. 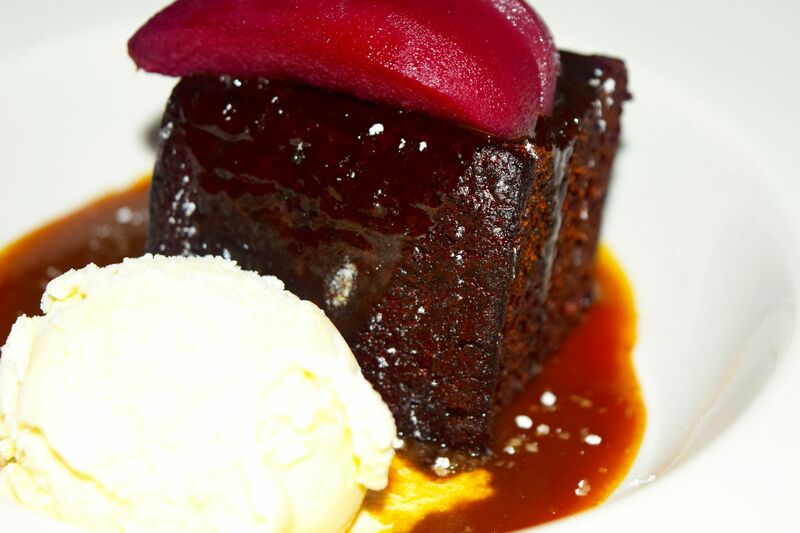 What was served has to best the very best Sticky Toffee Pudding I’ve ever even thought about. With a swirl of homemade vanilla ice cream and doused in rich caramel sauce, the pudding came already crowned in pear soak in mulled red wine. The sponge was airy in texture, and incredibly moist. The sauce was incredibly moreish, and the ice cream just superb. It was the perfect way to end one of the best meals I’ve had in a very long time. So then, after a pot of green tea, we positively bounced out of the dining room, full of wonderfully fresh, Scottish produce, promising to return soon.